Do you trust your brain to tell you the truth? If so, that may be a mistake. This week, I’m suggesting it may not be wise to trust our brain’s interpretation of what we see through those very same scratched lenses. Our brains are conditioned to process massive amounts of information very quickly. Thankfully, our brains work almost non-stop to scan the world around us, to alert us to danger, keep us safe and make sense out of what we see. In that process, our brains take liberties with the incoming data, deciding what is important and what is not. Our brains take short cuts, make assumptions and alter our perceptions of the world we see. This process has both benefits and significant drawbacks. Take a quick glance at the orange triangle pictured here. What are the words in the orange triangle? If you’re like most people seeing this image for the first time, you probably read “A BIRD IN THE BUSH”. This illustration has been around for quite some time, perhaps you have seen it before. If not, please read it again, perhaps a bit slower this time. 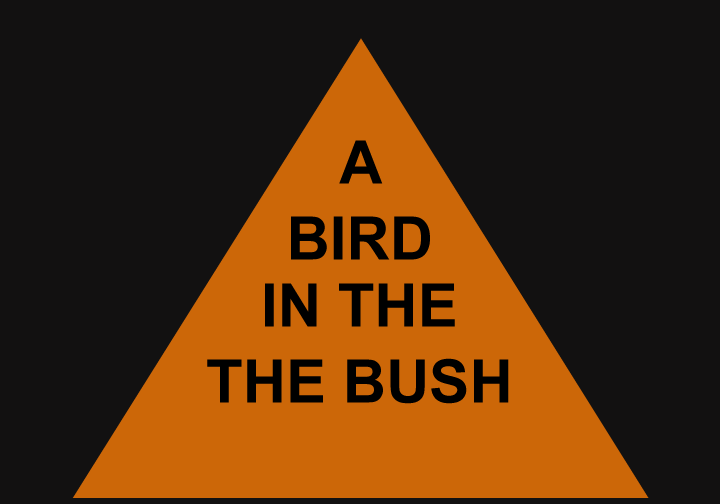 Please notice, it does not say “A BIRD IN THE BUSH”. What happens for most of us, is we see the word BIRD and we see the word BUSH, in milliseconds, our brains rifle through our mental rolodexes and jump to an incorrect conclusion. To make sense of what we see, our brains simply delete the extra “THE” so that what we see matches what our brains “know” and believe to be true… again, based on our personal experiences and “lenses on life”. 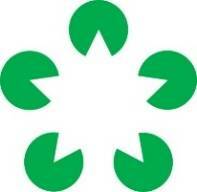 Now look at the green image on the left. What do you see? Almost everyone who sees this image reports seeing a star. I’m confident you see a star as well. The problem is, there is no star in that image! This is a Pac-Man meeting. In your brain’s effort to make sense out of this graphic, to match your brain’s perception of reality, it has added data that doesn’t exist. In the first example, your brain deleted data that is obviously there and in the second example, your brain added data that isn’t there… all to help you make sense out of what you’re seeing. Please don’t dismiss these examples of how our brains deceive us as trivial or unimportant. I would argue we must think about how we think, especially in highly charged and emotional situations. As leaders, we must be willing to describe what we see, through our unique lenses and experiences and, we must also be able to listen to what others see and perceive through their lenses and experiences. As Mark Twain offered, “It is what we think we know for sure, that just ain’t so”, that gets us in trouble. In what situations, and with what people, could your brain be deceiving you? How do you know?